Hotel, Resort & Spa�websites will look great with the new high quality�Leisure Hotel WordPress Theme. 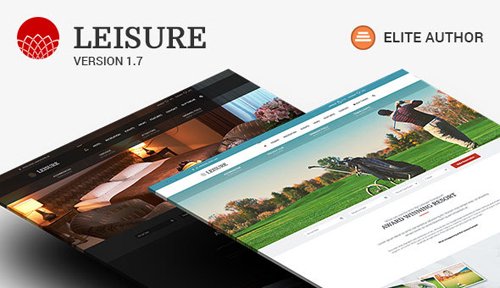 With dedicated features for any hotel, resort and spa, Leisure was built on the�Leisure � Hotel, Resort & Spa HTML Template�from Curly Themes, a 5 stars buyer rating template on Theme Forest. It is the perfect choice for any website dedicated to leisure and recreation business, like golf clubs, soccer and tennis center, leisure pools and spas, holiday resorts, hotels and other similar activities. Designed for websites with large, beautiful images, multi-level menus and generous footers, the theme is uniquely suited for eye-catching displays.